RICHMOND, VA—NASCAR teams took a break Wednesday from practicing for the Crown Royal Dan Lowry 500 at Richmond International Speedway to honor NAPA Auto Parts driver Michael Waltrip with its Sixth Cousin Award, given every year to the driver who displays the best combination of driving talent and friendliness to his extended family. "I tell you what, without ol' Michael's talent coming off the porch for us this year, why, it just wouldn't be the same," said Carleton Franks, Waltrip's fourth-cousin-in-law twice removed, who presented him with the award. "Fr'instance, I still got me a leaf blower he loaned me, and he might'a mentioned it once or twice, in a remindin' fashion, but nothing I'd call pushy. To me, that's what NASCAR is all about." 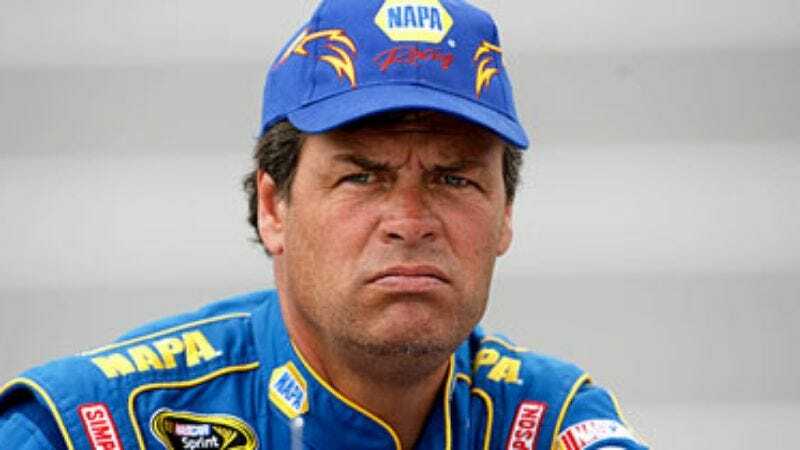 Some stock car insiders say that, while Michael Waltrip is not a bad cousin, he only received the award because his older brother, three-time NASCAR champion Darrel Waltrip, had been passed over so many times despite being equally eligible.